Are you ready to step into whole person healing? Our team can help. Lauryn is a graduate of the Yale University School of Medicine and is nationally certified as a Physician Assistant. Additionally, she holds both an MFA in Movement/Kinesiology from the University of Utah and a BA in Creative and Performing Arts from Franklin Pierce University. With 38 years as a licensed massage therapist, Lauryn has learned and practiced numerous bodywork techniques. Using these skill sets, she has also owned and operated several businesses, including Body Therapy Systems, a movement education practice; Ergonomic Interventions, a corporate ergonomic analysis and training practice; and Cross Therapy: Healing in Motion, a physical therapy and wellness center. Concentrating on education and rehabilitative, musculoskeletal medicine, Lauryn specializes in the integration of allopathic (traditional) and holistic medicine. She is dedicated to providing people with an education that promotes pain-free, lifelong, high-level function for the whole person. Since 1977, Lauryn has developed a cutting-edge specialty called Neuroplastic Functional Training (NFT). This practice combines the disciplines of neuroplasticity, kinesiology, and life education. Currently, she is the owner and executive director of the Neuroplastic Functional Institute (NFI). Realizing that a number of her students and clients are underserved and financially challenged, Lauryn started a not-for-profit charitable arm of NFI called the Healing Out Loud Institute (HOLI). This organization raises money and hosts events free of charge for impaired participants. Lauryn’s greatest passion is to inspire people to commit to learning how to love, heal, and enjoy total freedom. When asked of what she is proudest, she will tell you it’s her daughter, Emma, and her stepson, Bradlee. Larry Gepfert holds an AAS degree in Fisheries and Wildlife Technologies from SUNY Cobleskill Agricultural and Technical College and a BS in Wildlife Biology from Colorado State University. He has been a professional biologist and wildlife guide for more than 35 years. He has held an instrument-rated, commercial pilot’s license for land and sea for over 28 years and has flown for the Colorado Division of Parks and Wildlife as a wildlife pilot for 16 years. Following his love for the environment, Gepfert also served as a Colorado water commissioner for six years. Larry contributes as a financial officer to the Neuroplastic Functional Institute (NFI) and as a spinal cord injury (SCI) consultant for the Healing Out Loud Institute (HOLI). He is unique due to an accident he had in 2011 that left him a quadriplegic. For three months, he was paralyzed from the neck down. Amazingly, through rigorous rehabilitation at Denver’s Craige Hospital, he walked out on crutches. Today, after practicing Neuroplastic Functional Training, it is almost impossible to tell he was paralyzed. Larry’s fortitude, ability to lead, and personal understanding of how meaningful it is to function makes him a powerful advising leader at HOLI. Larry is most at home in the wild where he can camp and smell his primary motivation for recovering, the balsam fir. His mountaintop experiences fill him up and make him a fierce advocate for preserving wildlife habitat. Above all, Larry is a tireless advocate for animals and people in need. Aki Blake is a wonderful blend of very diverse skill sets. However, her greatest asset is her ability to make people feel cared for and comfortable. Over the last 20 years, her love for animals led her to excel in careers such as dolphin training, equestrian care, and veterinary medicine. In addition, she co-founded and served on the board of a Montessori school. In 2012, Aki ventured into owning and operating a successful cookie business called Kate and Aki’s Cookies. Her entrepreneurial strengths transitioned perfectly into a business owner/ management position at Environmental Excavation where she continues to consult. Today, Aki is at the center of the Neuroplastic Functional Institute’s wheel. She advises, directs, and gathers those of us who are in need of kindness, patience, and encouragement. Looking for Aki? You can always find her outside playing with her two miniature goats and three dogs. Susan has a Bachelor of Science degree from the LEEDS Business School / University of Colorado Boulder with a degree in Marketing. The first 10 years of her career were spent in Denver in the corporate world selling Telecommunications services all over the country. Knowing that she wanted to raise her kids in the mountains, she switched gears and moved to Glenwood Springs, CO, and became a mortgage lender when her kids were 1 and 3. For the next 15 years she worked in many capacities doing loans and managing branches/people, including owning her own business. In February of 2017, she resigned, followed her calling of healing, and opened Rocky Mountain Alternative Health, LLC. This is where she met Lauryn and is now working hand in hand with her to spread the message of helping people empower themselves to heal through NFT. She holds certifications as an Ayurveda Practitioner (AP) accredited by NAMA (National Ayurvedic Medical Association), a Health Coach (IPE Institute), a Life Coach (Robbins Madanes), Reiki Therapist, Certified Yoga Instructor, and as a Neuroplastic Functional Trainer, both land and aquatic (NFT). Susan has a huge love of nature and requires a significant amount of time playing and traveling in it in many capacities with her treasured family and friends. Soren Lindholm graduated from the Colorado Rocky Mountain school in Carbondale in the spring of 2018. Soren is an ambassador for NFI, as well as the spinal cord injury and pain consultant. In the late winter of 2017, Soren shattered his L1 vertebrae in his spinal cord during a big mountain ski competition. He met Lauryn Maloney-Gepfert after his injury and started going to the pool with her regularly to do neuroplastic functional training. Soren is still in recovery, but sees improvement regularly. Due to the nature of Soren’s injury he also has to address high levels of nerve pain, which means he is a great consultant for people needing to learn to cope and heal from chronic nerve pain. Soren is very passionate about this work and has a way of explaining the process to people from first-hand experience. He is both a land and aquatic NFT trainer. His motivation is an inspiration. Soren’s sidekick is his service dog Rolo–who has become the NFI mascot. Jeanne recently retired from a 30-year career with Life Care Services (LCS), where she most recently served as regional Vice President for Operations. LCS is a leading provider of high-quality senior lifestyle products and services, with a focus on development, operations management, marketing and sales management, and strategic planning for Life Plan Communities, and rental independent living, assisted living, and memory care communities nationwide. Jeanne oversaw the management of more than 20 senior living communities in the Northeast, Mid-Atlantic, and Florida. Working on behalf of not-for-profit sponsors and owners, Jeanne coordinated community business plans addressing day-to-day management, as well as troubled community turnarounds, strategic repositioning, and new community start-ups. A focus for Jeanne in recent years has been leadership development in Senior Living–both on the executive and board levels. Prior to assuming regional responsibilities, Jeanne served as executive director at three life plan communities for Life Care Services. She holds nursing home administrator licenses in two states. Jeanne came to LCS from The American Association of Homes for the Aging (AAHA), now Leading Age, where she served as both the Director of Housing Policy and the Director of Professional Development. Jeanne holds a BA from the University of Chicago. A dedicated proponent of loving, self-growth, and healing, her lifetime experience with seniors demonstrates her compassion and commitment to active aging and functional independence. Jeanne contributes to NFI and HOLI as a business advisor and director of programming. Her ability to strategically plan affords both organizations the opportunity to develop. You can find Jeanne traveling or at home with her husband and cat, James Bond. Oh, and don’t forget about her adopted family of wild turkeys. Judy has a Bachelor of Science and MA Ed degree from the University of Connecticut. She was an elementary school teacher for three years. She left teaching to be at home with her children and homeschooled her seven children through high school. In addition to her experience in education, she is highly organized and has had numerous administrative experiences. While studying for her Master’s degree, she managed one of the dorms at UConn. She hired, trained and supervised five staff members and was responsible for all social and educational programming. Judy has also previously worked for Lauryn as her practice manager at Cross Therapy, a forerunner of the Neuroplastic Functional Institute. She most recently has worked as a personal/administrative assistant and event planner. She is happiest surrounded by her family and can usually be found in the kitchen baking some special treat or cooking dinner for her husband as well as her children and their friends when they stop by to visit. Hillery comes to us very interested and excited about the neuroplastic frontier! The mind/body connection started with her training in nutrition. She received a BS in Human Nutrition from Colorado State University and began working as a Registered Dietitian first in public health with the WIC program at Tri-County Health Department in Englewood, CO for 3 years and next as a Clinical Dietitian at Valley View Hospital in Glenwood Springs, CO for 10 years. 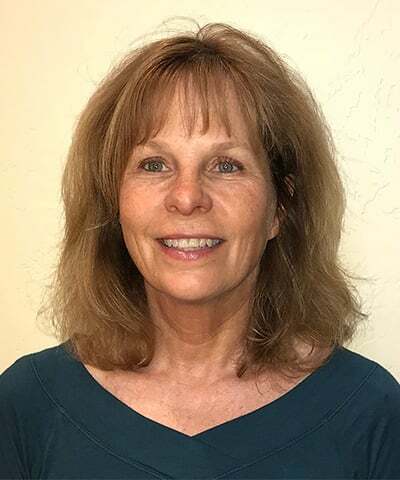 When her two daughters were young she became interested in the Public School they were attending and after substitute teaching she moved into the office as a Student Management Administrator for the Roaring Fork School District at Glenwood Springs Elementary School for 14 years. And now her administration skills are being put to good use at NFI! Hillery is a Colorado native and especially enjoys being active outdoors by hiking, skiing, biking, tennis and horseback riding with her husband, friends and two daughters. Bob came to us in October of 2018 as a patient suffering from significant pain and the complete loss of use of his right arm. As of March 2019, Bob has regained use of his upper arm muscles and is beginning to see progress in the rest of the arm. Excited about this groundbreaking work, in late February, Bob joined the team as a trainer, consultant and fundraiser for NFI’S benevolent partner, HEALING OUT LOUD INSTITUTE. Bob is not new to Colorado or the Roaring Fork Valley, having attended the University of Denver and University of Colorado, then taught skiing here in the Valley in the early 70s. Bob also managed his family’s horse and cattle ranch on Divide Creek just west of Glenwood Springs. In 1989 Bob, returned to college to obtain his MBA from Northwestern. He then got actively involved in energy efficiency and environmental programs, working for two regulated utility companies in their energy management department. Seeing an opportunity, he set up his own company to provide services directly for electric and gas utilities. He started his first company in his basement in Connecticut, a company that grew to over 250 employees, working from seven offices around the country. He sold this company in 1996. He started a second company in 1997, expanded its products and services, then sold it in 2015. Bob's former companies continue to deliver services to over 100,000 residential customers each year. Also of note, Bob is a licensed broker in California with a focus on small business mergers and acquisitions. This, coupled with his operations, marketing/sales, finance and HR experience has made Bob a valuable team member. 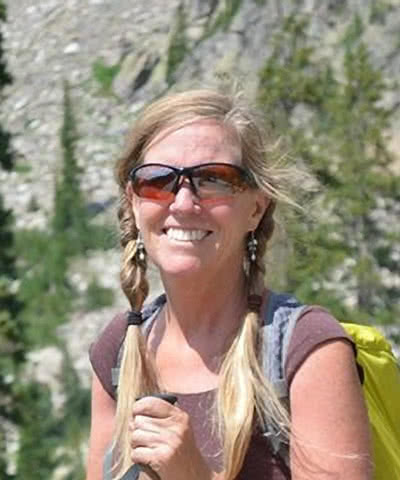 Diane has an eclectic resume, beginning with achieving her BS/MS in Geology from Stanford University, working as a NOLS (National Outdoor Leadership School) wilderness instructor for eight years, and designing and building a solar home from the ground up. After her two sons were born, she taught piano, ran a non-profit soccer organization, served on the local mountain's ski patrol as an EMT, and started a lively Celtic music band. With her children grown, she relocated to Colorado and reinvented herself in 2007, fulfilling a deep wish to work in the healthcare field. She started as a CNA in a nursing home, and graduated with Honors as an RN at age 55. She has served in all facets of nursing in rehab, long-term care and Alzheimer's secure units since 2011. She also trained as a meditation instructor in India, and has been incorporating these practices into healthcare settings, teaching breath-based meditation techniques to patients who are looking for alternative tools to deal with pain and anxiety. NFI has been a perfect expansion into the healing realm, both for her own healing, and more importantly, for her patients' benefits. Diane is passionate about being in the mountains, whether backcountry skiing, mountain biking, or backpacking. She recently celebrated her 58th birthday with a 29-day, 180-mile walkabout through the Elk Mountains with her partner, some mountain goats, and a few elk. Meredith Kasper has a BA in Sociology and Human Service from Fort Lewis College. She has spent the last 25 years developing her teaching skills. Over the years she has taught English (ELL), conversational Spanish, sexual health, Zumba and yoga both locally and abroad. In 2005 she earned a certificate in massage therapy and founded Balanced Bodywork LLC. She is dedicated to facilitating healing and helping clients reeducate their bodies to function better. She integrates a variety of modalities to meet each client’s specific needs. She has been studying with HOLI for over a year and has discovered the work to be extremely profound. Meredith continues to pursue her love for teaching language and in 2016 was inspired to create Custom Spanish Courses LLC. CSC offers a unique opportunity to learn Spanish through custom designed vocabulary specific immersion courses. She is passionate about facilitating growth through learning, whether that be in a language course or through her bodywork. She does an excellent job providing a safe environment to do so. Meredith has spent time living abroad in Mexico and Norway. She has traveled throughout the Americas, Europe and Africa and Asia. Through these experiences she has become a world citizen with a deep curiosity of different cultures, language and customs. She finds great joy in exploring what the world has to offer. She also loves the mountains and being out in nature is extremely grounding for her. Julie Stepniewski holds a Bachelor of Arts in English, and has enjoyed success in sales and/or hospitality her whole career. Acknowledged as the high sales earner for SkiTDS for the last three years, she finds selling ski vacations for 15 years in the western US and Canada allows her to provide people with those essential memories everyone needs. An integral part of the Roaring Fork Valley community, she has coached high school students in soccer for six years and acted as a referee for more than eight years. She has lived in Colorado for 40 years and plans to continue playing in the outdoors for another 40! Known as an adept skier, hiker, kayaker, and biker, she relishes her summers kayaking the Grand Canyon and the San Juan, or just sitting outside on her back porch watching the Roaring Fork river. While the outdoors is in her blood, her husband of 30 years, Bob, and their two children are her first priority. Julie contributes to NFI as an Aquatic Neuroplastic Functional Trainer (ANFT). Being diagnosed with arthritis in her late 30s has taught her the value of function and how to manage her health. She manages her high-level activities through regular Neuroplastic Functional Training workouts in the pool. If you need someone to rally for you and assure you the sky’s the limit, Julie is the person to see. Annmarie has a Bachelor of Arts degree with an emphasis in marketing and psychology from Fort Lewis College in Durango, Colorado. 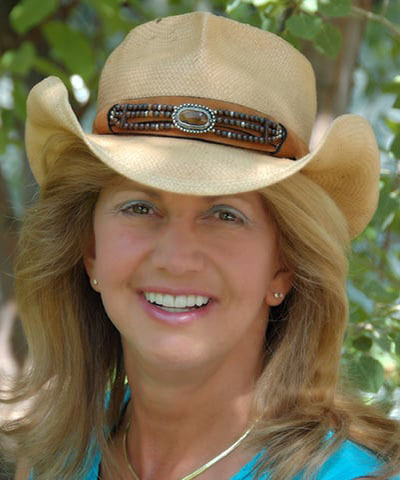 She has a diverse background in the business, education and non-profit sectors that includes working with Sun Microsystems, Inc., Clear Channel Communications, University of Denver and Family Star Montessori. Most of her focus has been in sales, marketing, promotion and business development. Annmarie has the natural ability to see opportunities and connect people. She thrives on helping others while creating a collaborative network. Her current part time role as the Continuing Education Coordinator for Colorado Mountain College helps her share a passion for lifelong learning and service to her community. Always fascinated and intrigued by the brain, Annmarie felt that connecting with Lauryn last summer could only be divine intervention! After her first introduction to the NFI work, Annmarie was "hooked"! She is working towards being a certified NFI trainer, and absolutely loving every minute of this amazing education and being a part of this "healing tribe"! In 2011, Annmarie, her husband, and their two boys were fortunate enough to move to this beautiful place they now call home. Most of her weekends are filled with precious family time, which includes watching her boys play sports, skiing, boating, hiking, riding ATVs, and playing with their beloved black lab, Bobbee. excelled in marketing and sales in both the Minneapolis, MN and Denver, CO areas. After her engineering stint, Jeanne and husband Steve, who also spent 16 years working in the corporate world, decided they wanted to trade their business suits for jeans and hiking boots. Committed to raising their children in a more laid-back, rural atmosphere, they moved from Denver to the small town of Glenwood Springs, CO in 1998 and opened the Glenwood Caverns and Historic Fairy Caves, a tourist attraction located in their new hometown. A woman of many talents, Jeanne oversaw marketing, hiring, training, operational and procedural development, and retail purchasing and merchandising. In 2015, the Beckley’s went on to open the outstandingly designed Iron Mountain Hot Springs. Continuing in overall management of this signature property, Jeanne assists in operations, as well as the financial and future strategies for both companies. Currently, she oversees the finance department for the Iron Mountain Hot Springs. Jeanne and her husband have labored relentlessly to preserve the precious natural habitats of both the Fairy Caves and the Hot Springs. Their contribution to the Roaring Fork Valley is monumental. Jeanne is a wonderful combination of outdoor adventurer and precious protector: a visionary with a healer’s heart. Her passions also include hiking, skiing, and growing with her children. Lynn’s experience in executive level management, including administration, human resources, operations, public relations, marketing, and sales brings a wealth of knowledge to the table. She holds degrees and certifications in: MBA-Master of Business Administration; MRE-Masters Level Experience in Real Estate; Certified Negotiations Expert and SPHR-Specialist in Human Resources. A graduate of SUNY with a BA in Education, Lynn was one of 14 students throughout the United States who were selected to participate in a government student exchange program to Japan. While in Japan, Lynn earned a second BA in Business, Photography, and Filmmaking, and a Master’s degree in International Business. Lynn has been successful in the cable TV, travel/ airline, healthcare and real estate industries. A published poet and author, she has written various handbooks and was responsible for airline emergency preparedness, which is now used universally by all airlines. She has served on the Board of Directors for the Governor’s Educational Taskforce, Colorado Travel Industry, and Health Careers Council. She is a two time Past-President of the Carbondale Rotary Club, and has served on the Leadership Councils for Crystal River Elementary School, the National Dyslexia Research Foundation, and Davi Nikent, an Integrated Wellness Center focusing on Total Health ; Mind, Body & Spirit. Lynn currently is an advisor to the Board for Carbondale Clay Center and is very active with the Town of Carbondale’s housing and homeless issues. She is a tireless advocate for NFI and HOLI. Her multifaceted expertise has advanced both entities immeasurably. Most powerful is Lynn’s heart to see people be healed and to live their life to their fullest potential, which is demonstrated through her continual anonymous and public philanthropic gifts as well as her daily practice of meditation, yoga, exercise and a clean healthy diet and lifestyle. David Clark, for the Mount Sopris landscape photo. Robert Fullerton, for the classroom photos.